This weekend, the new BMW 1M will take the centerstage of BMW news. The new “baby-M” makes its somewhat U.S. official debut at the Daytona 24 Hours race. An 1M prototype will serve as the pace car in the annual racing event and fans around the country will get to enjoy the Valencia Orange paint in person. Courtesy of our reader Brendan Smith, we have new photos of the 1M preparing for the race tomorrow. As seen earlier in our first photos, the pace car markings on the 1 M Coupe are minimal with only a few stickers and the light bar across the roof. We will be present for the race tomorrow and bringing you coverage of not only the 1 M as it guides a fleet of race cars around the historic track but also of the many teams that are proudly carrying the BMW Roundel. Watch this space today and tomorrow for more content as the 24 Hours of Daytona kicks off bright and early tomorrow. 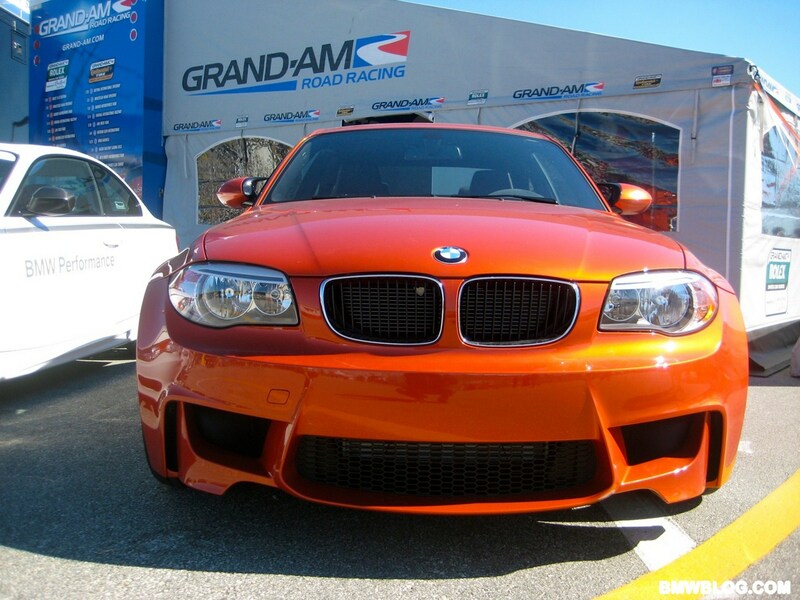 We will also work to provide even more coverage of this very special 1 M Coupe! The Rolex 24 Hours of Daytona is, like the 24 Hours of Le Mans, an endurance race of man and machine to see who can traverse the longest distance in the alotted time. Many teams have tried and many have failed to survive the grueling conditions of the race. The series, typically dominated by Porsche and GM cars, had an abundance of Bavarians at the 2010 running of the Rolex 24 Hours of Daytona held in Daytona Beach, Florida. Update: As extra bonus today, here is a photo of the 1M from the upcoming Top Gear magazine.